When is a British pub not a pub? When it's a gastropub! Where else can you order Irish onion soup and Braveheart pizza? Read my full review with pictures of Stirling Bridges after the break. 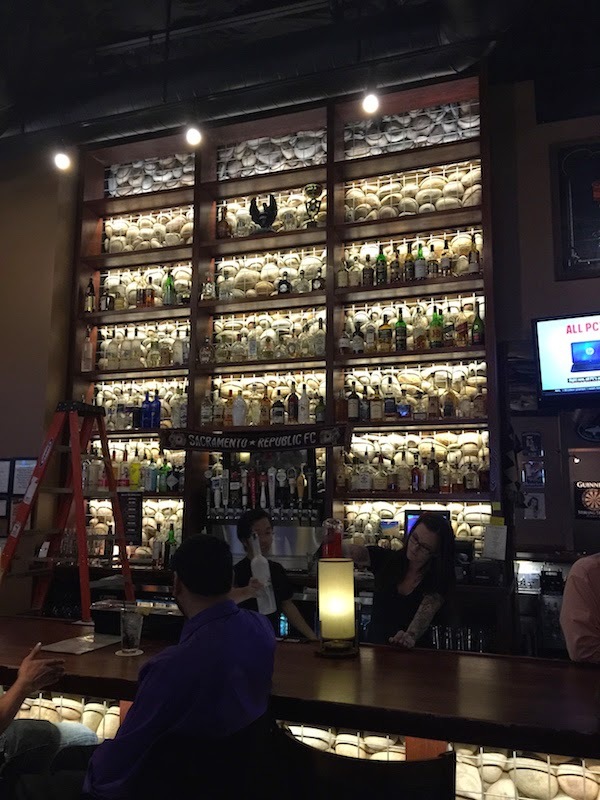 Last night, my friend and I went to Stirling Bridges gastropub in Carmichael, CA (near Sacramento). This was a little walk down nostalgia lane for me since my wife and I used to eat here many years ago when it was called Brother Oliver's. 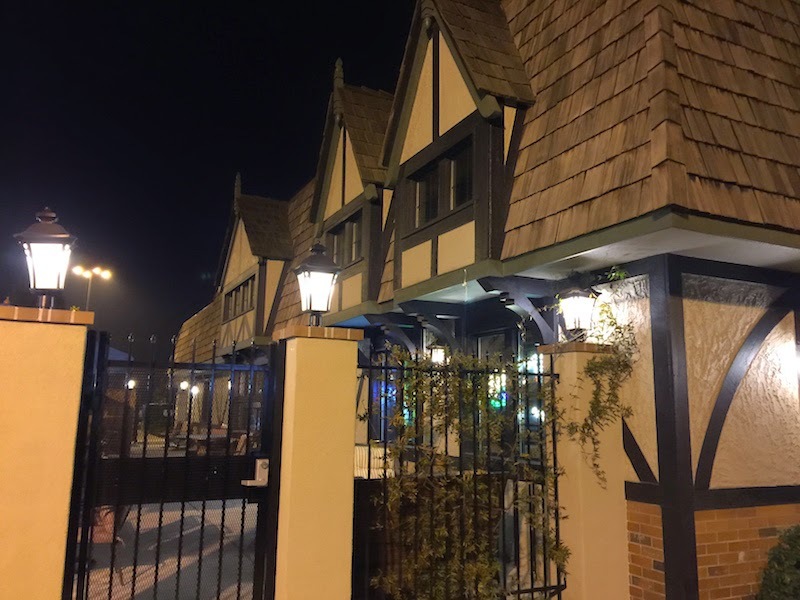 It was recently completely remodeled inside by new owners, and the menu is a kicked-up version of British pub fare. First up was a few appetizers. I've made Scotch eggs at home so I had to try them here. 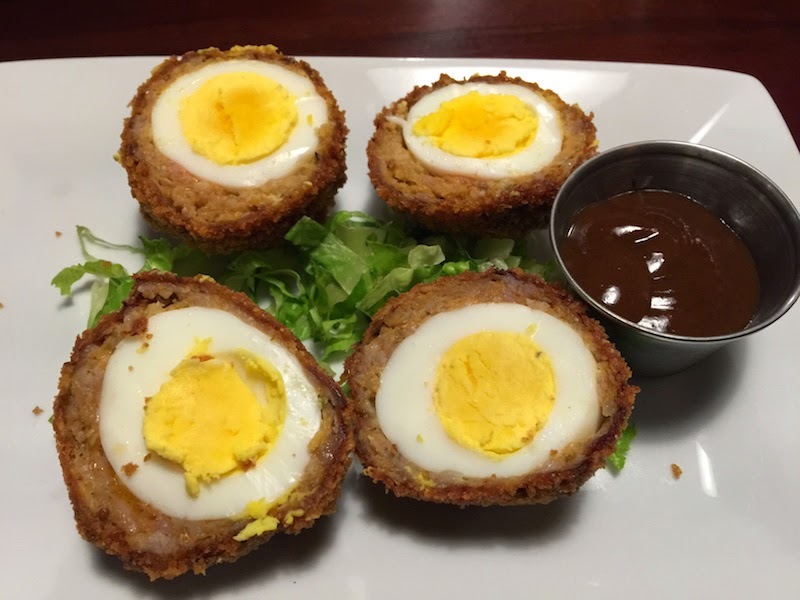 A Scotch egg is a hard-boiled egg covered in sausage. These were hot, fresh, and tasty. Served on the side was a thick Worcestershire sauce that I liked more than regular Worcestershire which is too thin to my liking. 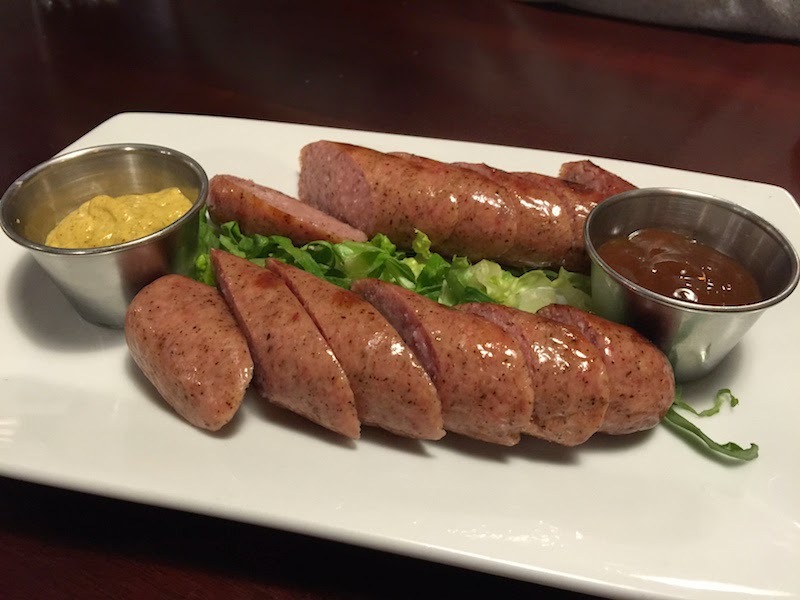 My friend ordered the brats for his appetizer. Nothing like some sausage while quaffing the Guinness. 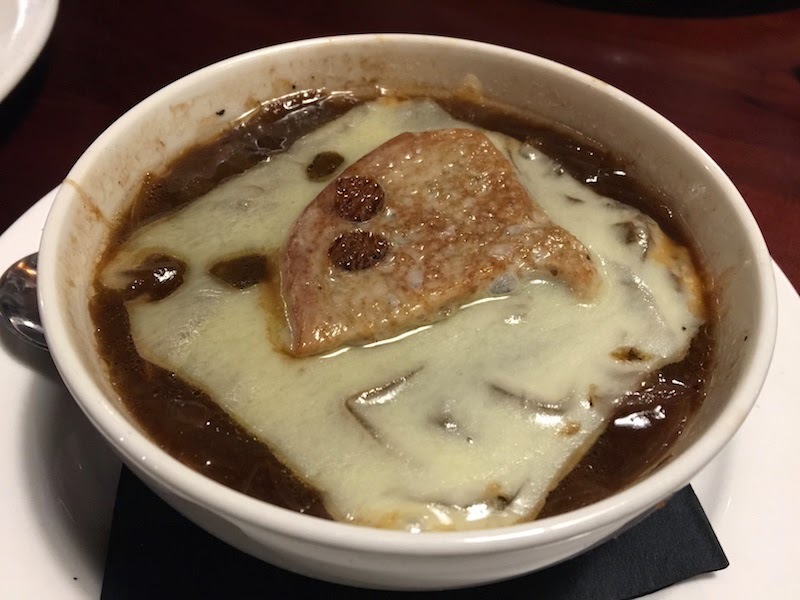 I had a bowl of the Irish onion soup along with my dinner. This is like French onion soup, with Guinness and Irish whiskey added to the mix. This was creamy and delicious, and the Swiss cheese was done perfectly without being overdone or burned like often happens with cheesy onion soups. The Irish Onion soup was my favorite dish of the night. 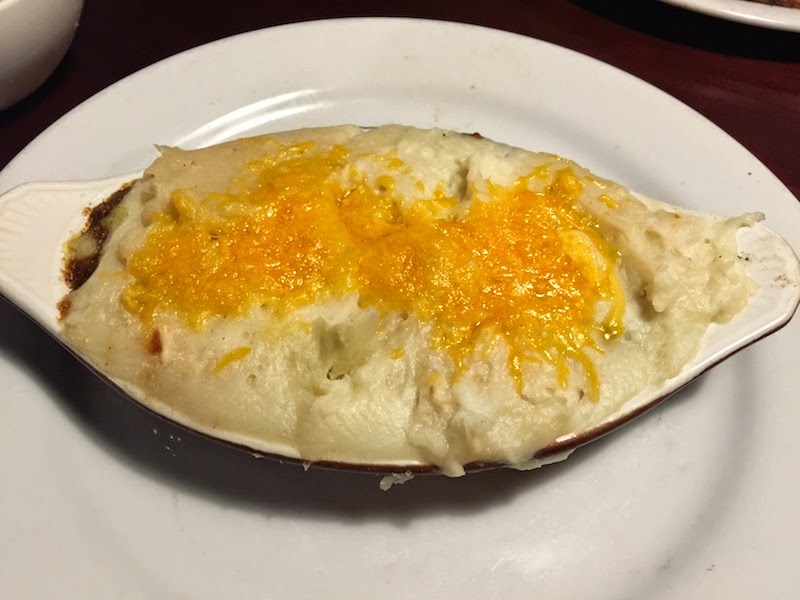 For dinner, I wanted to try something I could get at a traditional English pub, so I had the Cottage Pie. 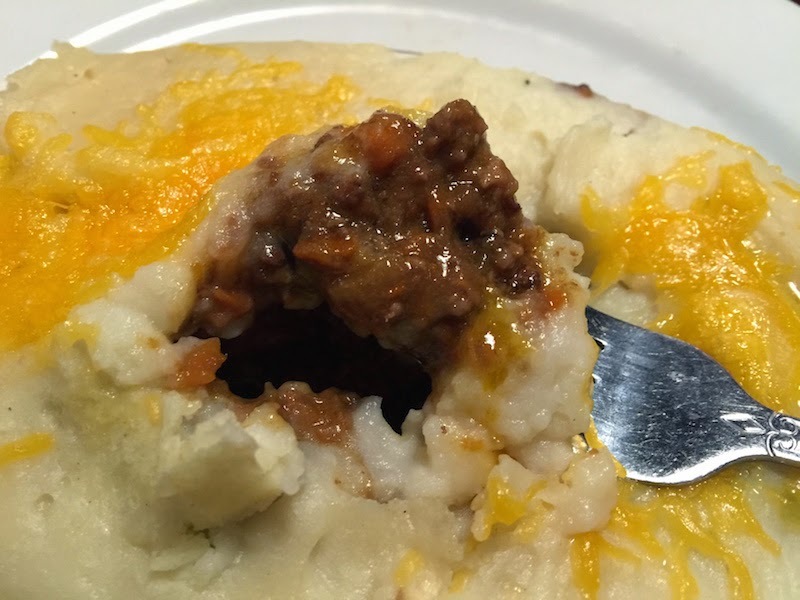 This was the same as any Shepherd's Pie, or as a kid we called it Hamburger Pie. It's hamburger, tomato sauce, peas, and carrots covered with mashed potatoes and cheddar cheese. It's hard to get this dish wrong, yet even so it was nice to have it served piping hot and delicious. My friend had the Braveheart pizza. 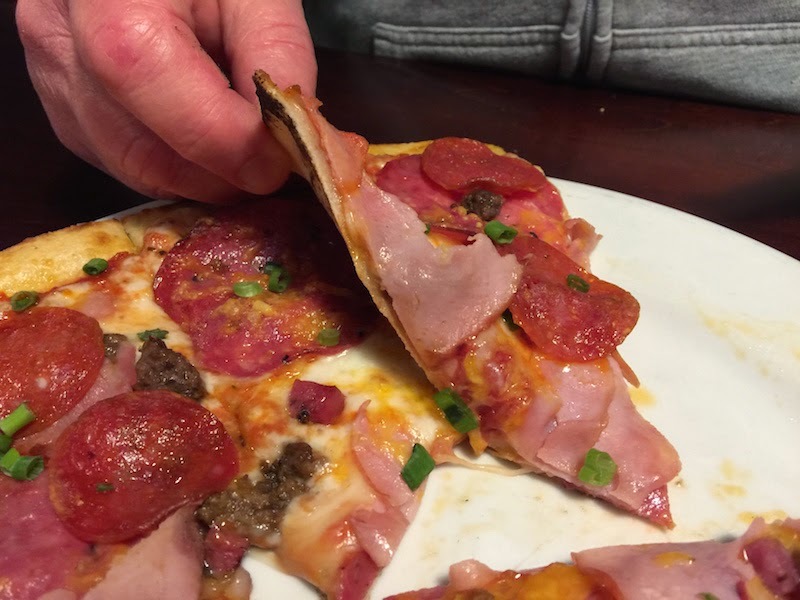 Pizza at a British pub?? 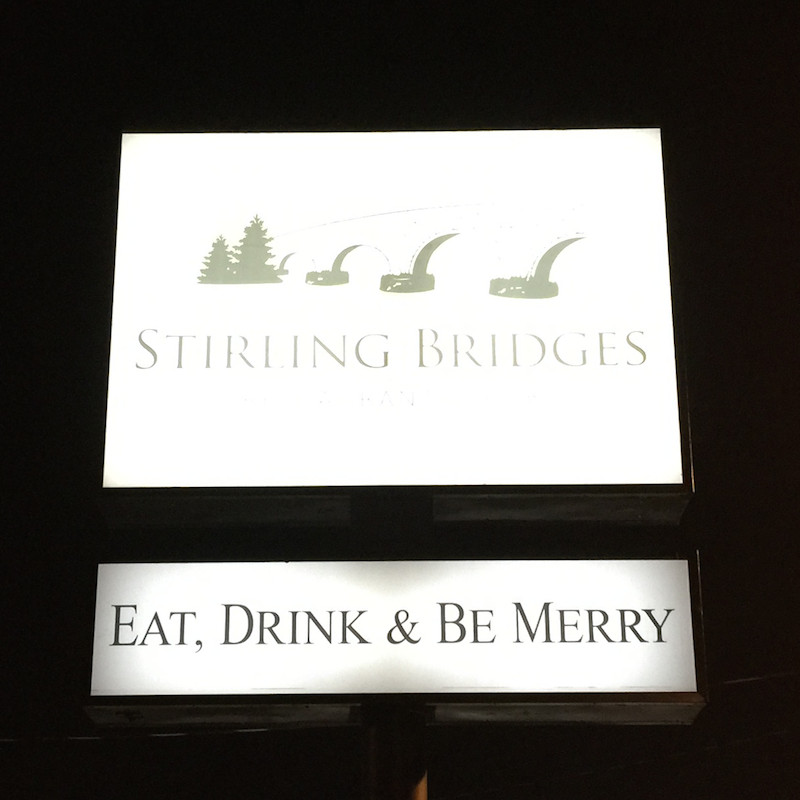 Remember, Stirling Bridges has expanded on traditional pub fare, and here's an example. Check out how thin and crispy the crust is. He really enjoyed the Braveheart pizza. There is a full bar, a pool table, darts, and an outdoor patio. Some nights have live music, trivia games, and other events. The service is really excellent. The hostess was really friendly and sat us at one of the large booths. Our waitress explained exactly what was in the dishes we were thinking about, and suggested which ones she thought were the best (beef stroganoff and cottage pie). I really enjoyed my dinner at Stirling Bridges and recommend you drop by for a pint and some British (gastro) pub grub. I read about Stirling Bridges from this article in the Sacramento Bee.